I designed Circles for two reasons. First, I wanted to create something meaningful. Second, I wanted to do something more accessible because a lot of my previous designs were sold on a very exclusive basis. 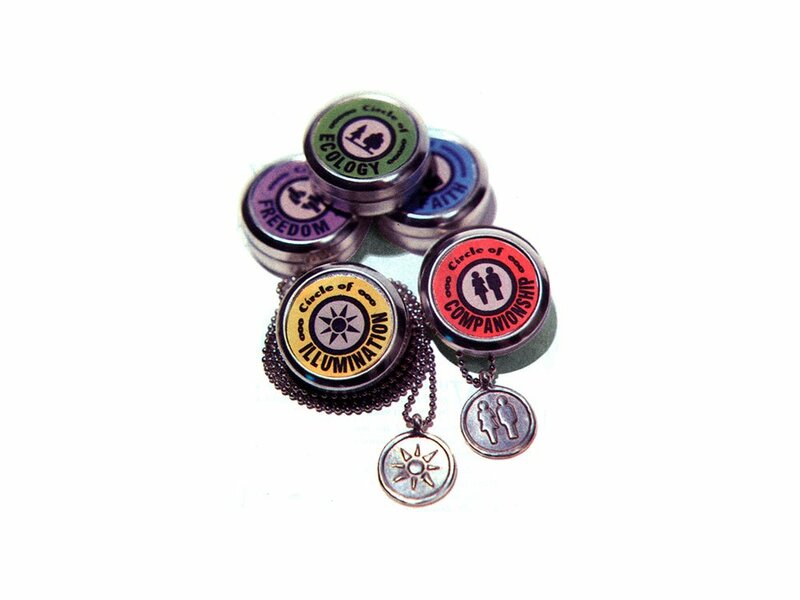 This collection of pendants included 40 symbols, each with a different meaning. They were made from reclaimed silver and packaged in reusable tins. The collection was a big success. Circles appeared in popular magazines like InStyle and Seventeen, in the film Clueless, on the TV show Melrose Place, and were sold in hundreds of stores. I am considering releasing an updated version of Circles in the future.